Socialising your new puppy from the moment he or she enters your home is essential for his long-term development – and your sanity! A well-socialised dog is a pleasure to have around. But socialising a puppy isn’t always easy. The important thing is to treat your new pup with kindness. Understand that he’s a baby and needs a firm but gentle hand to guide him into adulthood. And oodles and oodles of love. Did you know that puppies learn and develop a big part of their adult personality by 16 weeks of age? It’s true, and if you want a happy dog that takes life in a joyous stride, the clock is ticking. Positive (or negative) associations that young dogs develop during this critical stage of brain development can last a lifetime … for better or worse. So let’s make it better! Note: Don’t force things! 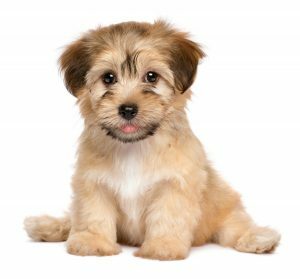 Make sure these exposures are done in a way that’s comfortable for the puppy. Don’t keep exposing a puppy to a new experience if the dog is scared. Talk to your veterinarian for guidance. be forceful or push to the point of struggle. Just touch and hold gently and reward his acceptance with a special treat. Remember, over time, you’ll need to be able to trim toe nails, clean ears and brush teeth. If your new puppy actually enjoys these rituals, life is better for you both. Let your puppy meet people of all shapes, sizes and mannerisms to learn there’s nothing to fear from people of all kinds. Introduce children, men and women, and even people with hats or fancy dress costumes. If your dog is ever going to need a sweater or coat—or even a bandage—now’s the time to teach him about them. Even if you just tie an adult T-shirt around him and let him get used to the feeling, it’s an investment in his future. Best of all, if you can help your new puppy learn about an E-collar—like those cones and collars the veterinarian will use when your furry friend recovers from surgery or illness—your veterinary team will really appreciate it. Someday your grown-up puppy won’t be as freaked out when he needs to wear one to save his life. Expose your pup to loud noises and novel objects, like the vacuum cleaner, the doorbell and even suddenly rattling a can with coins. Show that these things aren’t harmful and reward her only when she’s calm. Startling at a loud noise is typical, but your puppy can learn there’s nothing to fear and recover quickly from a startle. Noise phobias are real, and you can do your part to prevent them. You and your pup will experience all life has to offer together, but the experiences won’t be as fun if your puppy is afraid or difficult to handle. Take your puppy everywhere you can for exposure to new places. Visit your veterinarian on a day just for a visit – and some friendly treats. Take the puppy on errands to see lots of new sights and smell new smells. Make all the places that you go extra special with great treats or repeat the visits until they’re so normal that your pup is bored with them. Science shows that it’s easier for brains to remember bad experiences than good ones, so make sure your foundation for your puppy’s brain is filled with lovely associations. 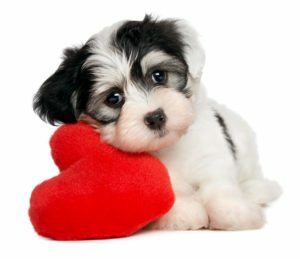 You can avoid big problems in the future and, let’s face it, handling and spending time with your puppy is a ton of fun!